Scala wall mounted toilet brush 21.26 by 3.54 by 5.12-inch. 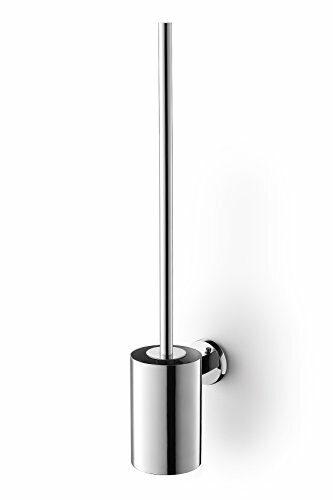 The scala toilet brush is part of the scala bathroom series. The individual items of this series are perfectly coordinated for a stylish, sophisticated look. German design. Hardware included. Very easy to mount. If you do not wish to drill any holes, use our adhesive compound and mounting glue. Holds up to 200-pound.